I love yogurt, so when I was given the opportunity to review Yoplait's new Greek yogurt, I jumped at the chance. My favorite "healthy" snack is yogurt with granola. I tried both the strawberry & blueberry flavors & I can't decide while one I enjoyed more. I told Retro I actually was a Greek Goddess in my past life. He laughed. With 12 grams of protein -- twice that found in leading yogurts-- new Yoplait Greek nourishes from the inside out. Available in four delicious flavors, Strawberry, Blueberry, Honey Vanilla and Plain, the brand´s newest offering has a unique thick and creamy texture with the unmatched taste expected of Yoplait. To celebrate its new Greek yogurt and to encourage women to nourish their inner goddess, Yoplait has teamed up with actress Izabella Miko, who plays Greek Goddess Athena in Warner Bros. Pictures´ and Legendary Pictures´ film new epic feature film "Clash of the Titans," which launched in theatres on April 2 in 3D. 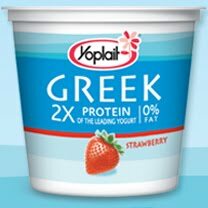 You can try Yoplait Greek yogurt by clicking HERE for a 30 cents off coupon. Why is there not a cent sign on this stupid keyboard? In association with, MyBlogSparkTM, Yoplait has provided me with a wonderful "Nourish Your Inner Goddess" prize pack filled with lots of goodies to help me relax (babysitter not included) as well as 2 VIP coupons for free Yoplait Greek yogurt. *This coupon offer for a free cup of Yoplait Greek yogurt is not valid in some states, including California, Idaho, Louisiana, Minnesota, Nevada, New Jersey, North Dakota, and Tennessee. 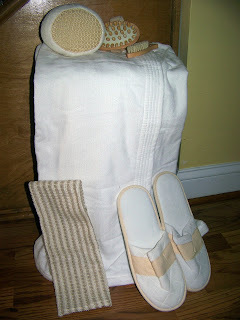 One of my fabulous readers can also receive a "Nourish Your Inner Goddess" prize pack! To enter, leave a comment on how you get in touch with your own inner goddess. * Follow me through GFC. * "Like" Confessions of a Semi-Slacker Mom on FB. 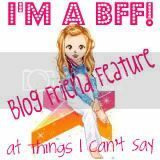 * For 5 extra entries, add the Sending Prayers for Monkey button to your blog. Please tally all your enteries in one comment. ner will be chosen by random.org on Sunday, May 16th. I make sure to give myself a pedicure at least every two weeks and my skin care routine makes me feel good every night! I have Monkeys button top left hand corner! Your new page ROCKS,BTW! I love it. Didn't realize grabbing your button was an entry, too. The only thing I can think of now is that I do get my hair styled at a proper salon every 6 weeks.